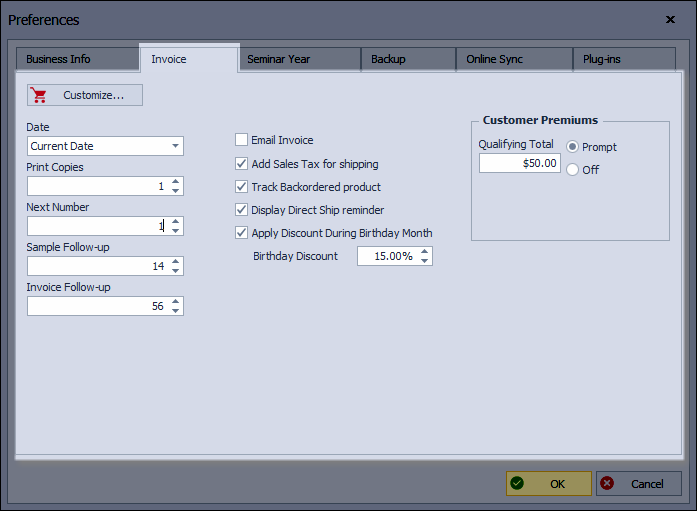 Customer premiums, also referred to as gift with purchase or deluxe mini sets can be added to qualifying invoices. 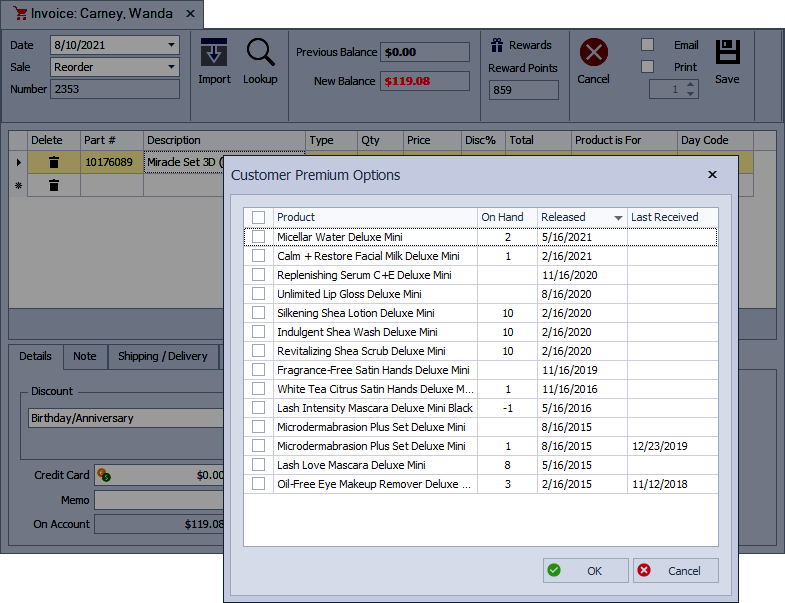 Click the Invoice tab and ensure a Qualifying Total is set, and Prompt is selected under the Customer Premiums section. From the Product List open the desired product profile (See Find or Search for Products for more information). 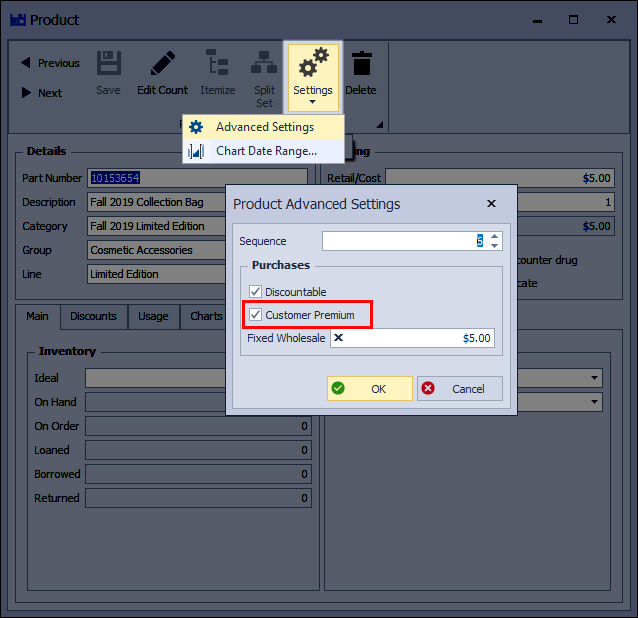 From the product's profile tool bar, click on and select Advanced Settings. Under the Purchases section, check or uncheck Customer Premium. Click to save and close the product profile.